A Water Recirculation System (WRS) for dyno cooling saves you money and reduces environmental impact. Instead of continually using freshwater and discharging it to a sewer, the WRS cools the water for reuse. Cold water from the recovery storage tank is circulated through the engine and dynamometer. As this water warms, the WRS controller begins to circulate the hot water through the water cooler and back to water storage tank. Cool water is then pumped back to the dynamometer and test engine to be reused as supply water. 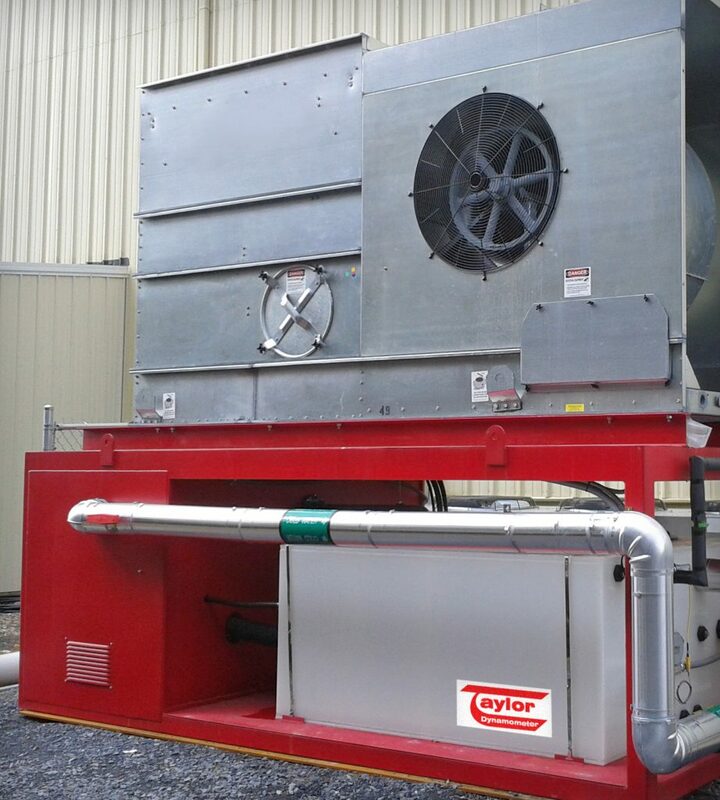 In cold climates, a heat recovery system can use a portion of the heat from the engine and dynamometer water to supplement the building heat system. 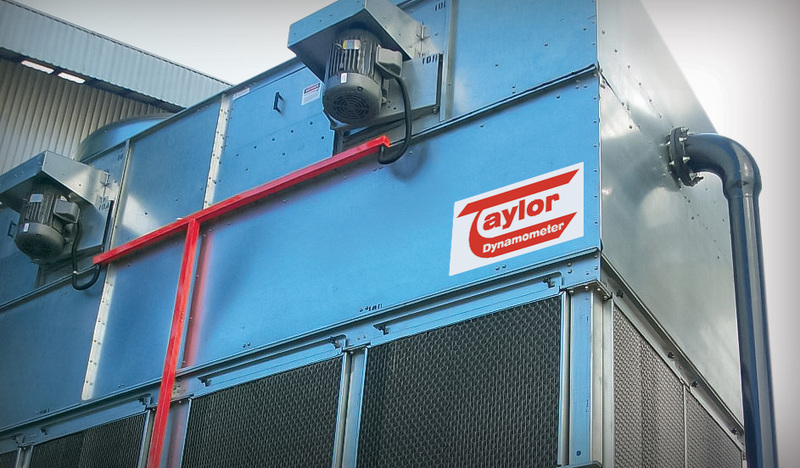 To design and implement an optimal system, Taylor’s engineering team will consider your test cell layout, local environmental conditions, the equipment in your test cell and the engine heat load. We’ll provide specifications for each pump, motor and cooling device along with operation and installation information. Pumps and Motors – A combination of centrifugal, vertical turbine, and centrifugal self-priming. All pumps are sized specifically to the application, facility design and related cooling volume and pressure requirements. How Much Can You Save with a WRS? Contact our engineering team today to find out more!